1. 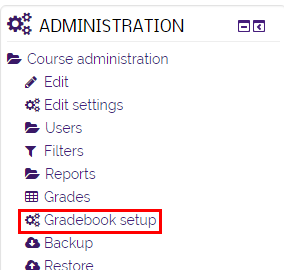 Click on the Gradebook setup link in the Administration Block on your course front page. 2. Click the Edit | Edit Settings for the course total category. It is in the top row of the table at the far right under the Actions column. 3. In the edit window that appears, click the Grade Display Type drop-down menu under the Category total section (You may have to select the Show More button to see it). Select the option the for the desired type. The options are Percent, Real, or Letter. The default option is Real, which displays the raw score in points. 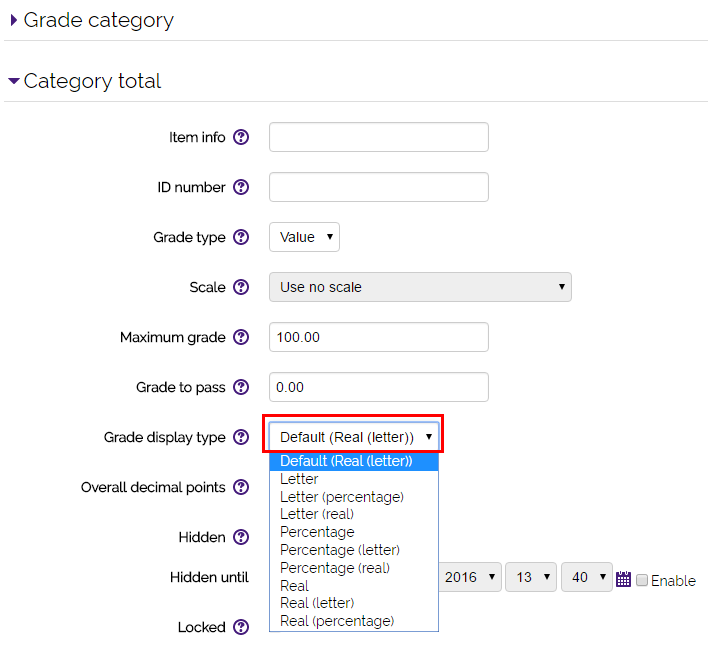 A combination of two types may also be selected, for example Percentage (Letter) will display the percentage and letter grade at the same time in the format 95% (A). 4. Click Save changes when finished.